Now that I am a senior citizen with PTSD/FWIC (Post Traumatic Stress Disorder from Working in Comics) I have a laundry list of medications that I take on a daily basis. These medications require me to make monthly, weekly or sometimes daily visits to one pharmacy or another depending on where I happen to be living when I run out of pills. If this alone were not enough, my wife and two children have an impressive variety of chronic illnesses and assorted maladies which make me a regular presence in several pharmacies. Today I went into the CVS pharmacy in New Jersey where over the years I have developed a reputation as a gregarious, very upbeat, friendly, unperturbable older guy with infinite patience. It’s no exaggerration to say that the people that work in the pharmacy literally brighten-up when I come in. Helen, an African American woman with a fourteen year-old daughter has all five of my Papercutz Slices parodies. Omar the pharmacist, who is normally a very reserved, very conservative young man of Middle-Eastern origin gets just the slightest hint of a smile on his face when he sees me on the other side of the counter. Indeed, there are even several others there who know me by name. Usually, I find a terribly long line at the pharmacy, but while others may find this a minor inconvenience, I am not deterred in the least, as I am my own “boss” and if the employees should deign to apologize for the long wait, I am gracious and proudly declare to them I have “no more important place to be”. I actually enjoy making funny comments and interacting with people in line under the right circumstances–and even the wrong circumstances as happened to be the case today. As I entered the store and walked past the crowd gathered at the registers in the front of the store and ran the gauntlet between the candy aisles, I was delighted to see that for once, there was no one in front of me in line at the pharmacy in the back of the store. I’m old enough now that I’m just considered a little eccentric and not much of a threat. When Omar, who I can only see from the chest up (because he works behind yet another counter) heard the name Mr. Parker, he, too glanced up— and I thought I detected the faint trace of a smile on his countenance. I felt acknowledged, important, appreciated–a valued customer! I approached the young African American male standing behind the register. “Hi, I’m picking up a prescription for Richard Parker,” I announced in my warm baritone radio-announcer voice. “Date of Birth….”, he asked, punching a few buttons on some electronic device. “Eight, thirty-one-forty-six”, I proudly responded, happy to be able to answer someone’s question with certainty in an increasingly uncertain world. Just then– and from somewhere behind me, and off to the right, a woman approached and slapped an empty orange prescription pill bottle down on the counter beside me. “I’ll need to get this refilled,” she said abruptly, and then sauntered off to do some shopping in the store. Suddenly, I was transformed into the cranky, slightly mentally-unhinged person who now seemed perfectly aligned with my dirty dissheveled physical appearance ocassioned by all the backbreaking work I have been engaged in as of late as I struggle alone to move all of our possessions from one place to another as our house undergoes a month-long cosmetic restoration. “Hey–!! Wait your TURN, lady! !,” I said, looking into the big brown surprised eyes of the store clerk and not even bothering to turn around to face the woman. Then in a softer voice, I addressed the clerk. “Don’t you wish you could talk to customers like that…. ?” He smiled a big smile. I could tell he was starting to like me, too. Then, from somewhere behind me, I heard a voice. “I’m not bothering you,” she said. “Oh, yes, you are—-you just don’t realize it…” I responded, again, without even bothering to turn around and look in her direction. The bemused pharmacy clerk finished processing my payment and handed me my pills. The little orange bottle the lady had deposited a minute or two before was still on the counter beside me, so I took that one, too, and headed straight for the door. I gave her a fake smile as I angled past her in the Analgesic Aisle. And ten seconds later, I tossed her empty pill bottle into a vacant spot behind the Dove Bars about halfway out the store. Then suddenly I heard my name being announced on the store intercom. “Mr. Parker, Mr. Parker….please come to the register in the pharmacy…”. As I turned around to go back to the candy section and retrieve her empty pill bottle from behind the chocolate, she spoke again. 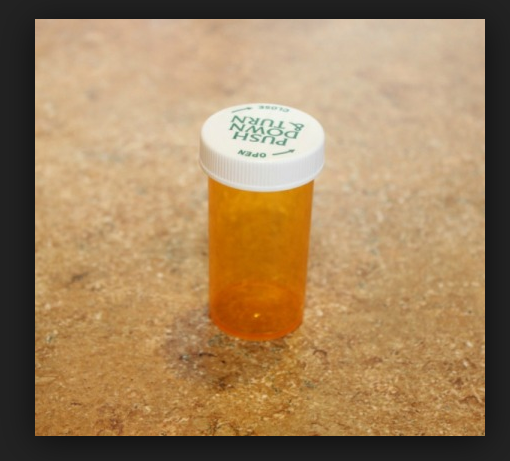 “I need that pill bottle!! I retrieved the bottle and walking past the Pepto Bismal®, I glanced down at her name on the label. I walked up to her and handed it to her. “Here you are, Harriett,” I said in a matter- of- fact voice, as if nothing at all had happened. Then I turned and I walked out of the store, again passing the candy section, passing the women and children waiting in line in the front, passing the old guy walking in on a cane and walked to my car and got in. I started the engine and just momentarily toyed with the idea of waiting until she exited the store and walked through the paking lot to her car. For just a moment, I fantasized that I would run over her. In my mind I heard the dull thump of her body against the hood of my SUV as she was lifted through the air and uncerimoniously deposited on the hood of my car, her face dazed as it stared unseeing at me through the cracked windshield…. But then I popped open my little bottle of pills, took one and happily drove away. Never give Harriet her pill bottle back. Never!